A guide to popular culture materials and scholarship from around the world. The University of Illinois Library has a wealth of materials on popular culture from around the world. This guide will help you access physical and digital resources ranging from music recordings to streaming films to scholarship on popular music, TV, film, video games, sports, comics, and more. Be sure to visit the International Comics tab above to explore the Library’s extensive holdings in comics from around the world. This page has search tips for finding popular culture materials in the library, and recommendations for resources on international popular culture generally. Each of the Area Studies pages has resources that focus on that region, with links for both University of Illinois resources and web resources. You’ll find video clips, streaming music, and plenty of scholarly materials. Contact Mara Thacker, Global Popular Culture Librarian, any other Area Studies librarian, or use the Ask a Librarian chat box to your right. Looking for specific kinds of materials (e.g. films, sound recordings) in the catalog? Choose "Advanced Search" under the search bar and select the formats you want to limit your search to. Use the links on the right side of the page of your search results to narrow what you see by language, topic, or region. Alexander Street Press Description of this database. Suggested titles from the Library catalog on cinema from all over the world. Contains: International index to film periodicals, 1972- ; International index to television periodicals, 1979- ; List of periodicals indexed; Treasures from the film archives; International directory of film and TV documentation collections; and Bibliography of FIAF members' publications. The Directory of World Cinema book series explores film traditions from around the world. Current holdings include volumes on Italy, Spain, Germany, Russia, China, East Europe, Finland, Latin America, Argentina, Australia and New Zealand, Japan, Iran, UK, Belgium, and Brazil. Illinois students have access to hundreds of international films streaming on Kanopy. Get started here. Film Manifestos and Global Cinema Cultures is the first book to collect manifestoes from the global history of cinema, providing the first historical and theoretical account of the role played by film manifestos in filmmaking and film culture. Focussing equally on political and aesthetic manifestoes, Scott MacKenzie uncovers a neglected, yet nevertheless central history of the cinema, exploring a series of documents that postulate ways in which to re-imagine the cinema and, in the process, re-imagine the world. The Cinema of Small Nations is the first major analysis of small national cinemas, comprising twelve case studies of small national - and sub national - cinemas from around the world, including Ireland, Denmark, Iceland, Scotland, Bulgaria, Tunisia, Burkina Faso, Cuba, Singapore, Taiwan, Hong Kong and New Zealand. The core volume in the Traditions in World Cinema series, this book brings together a colourful and wide-ranging collection of world cinematic traditions - national, regional and global - all of which are in need of introduction, investigation and, in some cases, critical reassessment. Topics include: German expressionism, Italian neorealism, French New Wave, British new wave, Czech new wave, Danish Dogma, post-Communist cinema, Brazilian post-Cinema Novo, new Argentine cinema, pre-revolutionary African traditions, Israeli persecution films, new Iranian cinema, Hindi film songs, Chinese wenyi pianmelodrama, Japanese horror, new Hollywood cinema and global found footage cinema. To find information about television programs and their production, use the following subject search terms, with the country or language you're looking for added to the term (e.g., Television programs -- Spain). To find DVDs and streaming shows, "movie" under the format filters to the right in the library catalog. For decades, television scholars have viewed global television through the lens of cultural imperialism, focusing primarily on programs produced by US and UK markets and exported to foreign markets. Global Television Formats revolutionizes television studies by de-provincializing its approach to media globalization. The chapters in this collection take up the format phenomena from around the globe, including the Middle East, Western and Eastern Europe, South and West Africa, South and East Asia, Australia and New Zealand, North America, South America, and the Caribbean. This collection brings together original scholarship from an international and trans-disciplinary perspective. Chapters address timely issues, theories, and debates that are inextricably linked to soap operas and telenovelas as global industries, as sites for new audiences, and as hybrid cultural products within the digital landscape. Bringing depth and originality to the subject area, each chapter demonstrates the richness of these genres and their long-term significance as the televisual landscape evolves and becomes increasingly reliant on technological and creative innovations. In Telemodernities Tania Lewis, Fran Martin, and Wanning Sun demonstrate how lifestyle-oriented popular factual television illuminates key aspects of late modernities in South and East Asia, offering insights not only into early twenty-first-century media cultures but also into wider developments in the nature of public and private life, identity, citizenship, and social engagement. The book addresses a wide range of topics, including: the global circulation and local adaptation of reality television formats and franchises; the production of fame and celebrity around hitherto "ordinary" people; the transformation of self under the public eye; the tensions between fierce loyalties to local representatives and imagined communities bonding across regional and ethnic divides; the struggle over the meanings and values of reality television across a range of national, regional, gender, class and religious contexts. Find materials on video games with these search terms (borrowed from the UGL Video Games Research Guide). Add countries and languages to your search term to find the information you want (e.g., Video games -- History -- Japan). Information about board games, video games and gaming consoles in the library, doing research on gaming, and pursuing careers in the gaming industry. Includes suggested databases, search terms, websites, and links to guides on related topics such as artificial intelligence and social media. Early video game studies scholars were quick to point out that a game should never be reduced to merely its "story" or narrative content and they rightly insist on the importance of studying games as games. But here Steven E. Jones demonstrates that textual studies--which grows historically out of ancient questions of textual recension, multiple versions, production, reproduction, and reception--can fruitfully be applied to the study of video games. It treats video games as cultural forms of expression that are received as they are played, out in the world, where their meanings get made. How culture uses games and how games use culture: an examination of Latin America's gaming practices and the representation of the region's cultures in games. Video games are becoming an ever more ubiquitous element of daily life, played by millions on devices that range from smart phones to desktop computers. An examination of this phenomenon reveals that video games are increasingly being converted into cultural currency. For video game designers, culture is a resource that can be incorporated into games; for players, local gaming practices and specific social contexts can affect their playing experiences. In Cultural Code, Phillip Penix-Tadsen shows how culture uses games and how games use culture, looking at examples related to Latin America. Find materials on popular music with these search terms, and add the country or language term you're interested in. While your likely to find more recent recordings on commercial streaming services, you can also find music recordings in the library catalog. Use the filters at the right of your search to limit your format to "music recording." You can find more information about researching music materials on the Music and Performing Arts Library's research guides page. Several are highlighted below. Popular Music and Society , founded in 1971, publishes articles, book reviews, and audio reviews on popular music of any genre, time period, or geographic location. 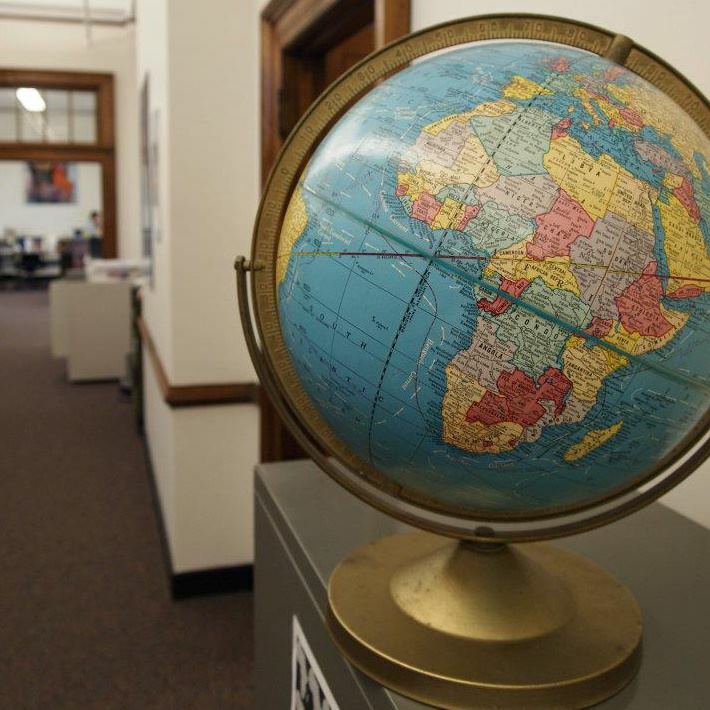 This libguide, created for Music 133, provides starting points for research on world music in the Illinois library. Includes information about styles and genres, bibliographies and discographies related to black music around the world. This guide will help you find recordings and sheet music for popular music in the Illinois library. Information about rap and hip hop all over the world. 11 volumes, with entries that include bibliographies, discographies and filmographies, and an extensive index. Includes volumes on Brazil, Turkey, Hungary, France, and Korea, as well as regionally-focused volumes on Latin America and the Low Countries. Located at the intersection of sociolinguistics and Hip Hop Studies, this cutting-edge book moves around the world - spanning Africa, Asia, Australia, the Americas and the European Union - to explore Hip Hop cultures, youth identities, the politics of language, and the simultaneous processes of globalization and localization. Punk rock may have started in the United Kingdom and United States but it certainly didn't stay in either country. 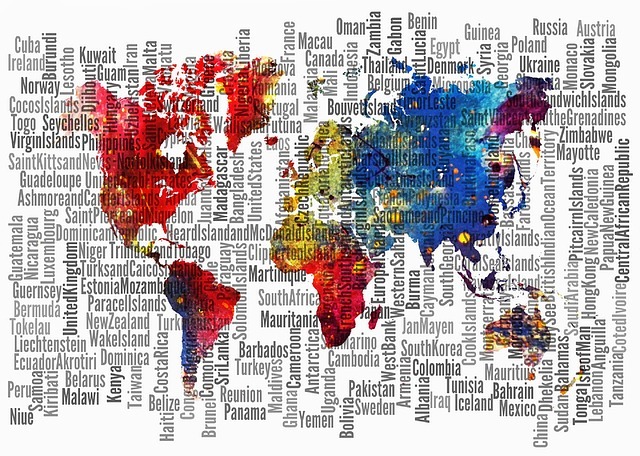 The genre flew around the globe like a contagion, touching off simultaneous movements in nearly every market imaginable: Japan, Yugoslavia, the Philippines, South Africa, New Zealand, Chile, Mexico, Poland, Burma, Singapore, and Turkey, among countless others. Links to databases, suggested journals, search terms, call numbers for relevant topic areas, and web sources.  Sources for researching sports in Latin American and the Caribbean, including information about the Illinois library's extensive special collections in this area. This multivolume set is much more than a collection of essays on sports and sporting cultures from around the world: it also details how and why sports are played wherever they exist, and examines key charismatic athletes from around the world who have transcended their sports. Further reading selections provide direction for in-depth analysis of each event, sport, personality, or issue discussed. Baseball Beyond Our Borders celebrates the globalization of the game while highlighting the different histories and cultures of the nations in which the sport is played. This collection of essays tells the story of America's national pastime as it has spread across the world and undergone instructive, entertaining, and sometimes quirky changes in the process. Readers will find here a stimulating array of papers that capture varied aspects of the sport, race and ethnicity nexus around the world. The journey stretches as far afield as Australia, New Zealand, Canada, Ghana and the USA and, in so doing, it draws on a range of disciplinary approaches that converge or diverge by degrees. Use the following genre terms, plus country or language, to find science fiction, fantasy, horror, and other genre materials in the Library catalog. Filter your search by using the links to the right side of the page to find films, books, and other materials. For works about these genres, try the following constructions for your search terms. (Note: the term "science fiction" will return both history/criticism of science fiction works and the works themselves). With over 17,000 entries by top scholars in the field available for free, this is an indispensible resource for beginning your research on science fiction. Search terms, recommended books, and professional organizations that focus on science fiction and fantasy, primarily in the UK. Guide created for CWL 117, with links to web resources, recommended library materials, and information on utopias, dystopias, and gender in Russian and East European SF. Guide to finding science fiction books and research materials in the Illinois library, with links to databases, search tips, and tabs on Afrofuturism and other media. A guide to juvenile, young adult, and adult novels with environmental themes, generally focused on pollution. Includes a tab on science fiction, fantasy, and horror. A history of the fantasy form, this work traces the genre from the earliest years with The Epic of Gilgamesh and The Odyssey through to the origins of modern fantasy in the 20th century with such acclaimed writers as Terry Pratchett and J. K. Rowling. An exploration of the great variety of fiction published under the heading "fantasy," this engaging study seeks to explain its continuing and ever growing popularity. This huge volume is the first comprehensive encyclopedia of the fantasy field. Not only does it describe the genre authoritatively, but it redefines it, offering an exciting new analysis of this highly diverse and hugely popular sphere of art. Though science fiction is often thought of as a Western phenomenon, the genre has long had a foothold in countries as diverse as India and Mexico. These fourteen critical essays examine both the role of science fiction in the third world and the role of the third world in science fiction. Topics covered include science fiction in Bengal, the genre's portrayal of Native Americans, Mexican cyberpunk fiction, and the undercurrents of colonialism and Empire in traditional science fiction. Guide compiled by Sarah Sahn, Library and Information Sciences Graduate Student, in Spring 2018 as part of a practicum in the International and Area Studies Library.